This winter, the first club in Ontario to open a days worth of riding was the Sault Trailblazers in Algoma Country. And, as a result, they won a contest organized by SledDealers.ca, Ontario Tourism, and Yamaha Motor Canada that brought 8 of Yamaha’s latest sleds to the organization that had their trails open first. On December 4th, the Sault Trailblazers did that, and in February of 2015 our Editor-in-Chief Mike Jacobs had the chance to ride with them while they enjoyed the fruits of their labours. 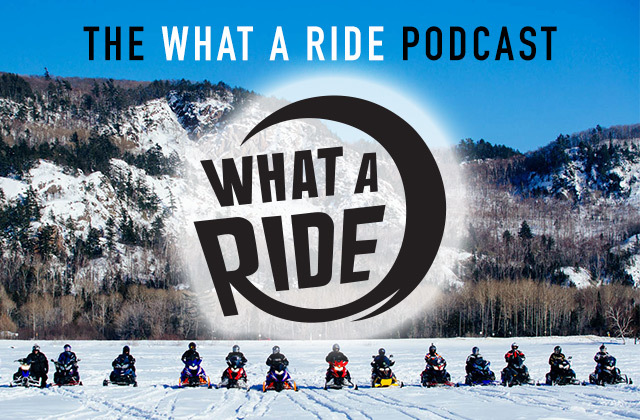 This is a different type of What A Ride podcast; an unedited look at what life is like for a club in Northern Ontario – and it’s not always pretty or politically correct, but it’s almost always fun. There is swearing, so if that is the kind of thing that offends you, please don’t listen to this! If you’re a sledder, ever been a member of a club, or at a snowmobile convention, then you know exactly what to expect – and you’ll probably see shades of people you know in the people we rode with here. Click below to subscribe and listen! Check http://www.ontariotravel.net/en/play/powersports-touring/snowmobiles for all the info you need on snowmobiling across the province. We stayed at the Fairfield Marriott in Sault Ste. Marie. We ate at Roxy’s Lakeside Grill. We also stayed at the Searchmont Ski Resort and ate and drank their too. Best food on a sled trip this year.